What Causes Warts on Fingers and What Can I Do About It? Why Do I Have Warts Growing on My Fingers and Thumbs? You require the use of your hands and fingers for nearly everything that you do. Warts on fingers are giving you a problem. They are ugly and people don’t want you to touch them. If that wasn’t enough, you bump your warts repeatedly and they hurt. One wart might be infected. What do you do about that? What kind of wart grows on your fingers? Why are they on your fingers and not somewhere out of sight? We have the answers to your questions in this article. What Kind of Warts Grows on Fingers? What Should I Do About an Infected Wart on My Finger? What Causes Painful Warts On Fingers? Warts are abnormal skin growths. They are highly contagious and easily spread. As this article explains, a virus is what causes warts on fingers. The virus invades the upper layer of your skin and pushes skin cells outward. Warts do not grow inward, they do not have roots or seeds, and they do not attach to bones. As warts grow, they may bulge into secondary layers of skin, but they don’t penetrate deeply. When a wart is removed intact, the bottom of it is smooth and round. What appears as roots is usually skin tissue that has been pulled loose. The little black dots that are sometimes referred to as seeds are the ends of blood vessels. You can have more than one type of wart. The virus that causes warts has more than 100 types. Less than a dozen of the virus types cause warts, but each type tends to cause a different kind of wart. 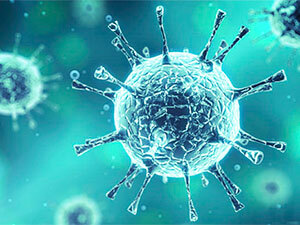 Each type of the virus has a favorite place to infect. For example, the virus that causes the warts on your hands or fingers is a different virus type than the one that chooses your feet. The virus enters your body through breaks in your skin, usually by means of skin-to-skin contact. If you have a scratch or cut on a finger and you happen to touch an existing wart, you are at risk for infection. Warts on one of your fingers are easily spread to your other fingers. All warts are filled with viral cells. If you pick at your wart, it spreads those infected cells to nearby skin. You can end up with a cluster of warts rather than a single growth. Warts on your fingers are generally one of two types. They may be flat, or they may be raised bumps. You can learn about the third type, which is a wart under fingernail, here. Warts can be any color but are rarely black. Flat warts on fingers: Flat warts are named for their appearance because they aren’t bumpy or raised like other warts. You usually only have one at first, which will probably be smaller than the dot at the end of this sentence. But flat warts like company, and you’ll soon have a cluster of them. They can also grow larger. For more info about flat warts check out this article. Small warts on fingers: If your growths have a smooth surface, small warts on your fingers are likely flat warts. If the surface is rough and “warty” looking, then they are probably common warts. The colors of warts range from skin tones to browns, yellows, and grays. Flat warts tend to be flesh-colored. Common warts are more often darker. Common warts on fingers: Common warts are often small, fleshy bumps that feel rough. They can look like tiny cauliflowers. The colors vary. They often have lots of little black dots. Those are the ends of dead blood vessels. White warts on fingers: White is one of the normal colors associated with common warts. Warts are skin tissue. Skin lightens when it’s soaked in water, so a darker wart can appear white at times. If your wart suddenly becomes white, swells, or oozes, then it’s likely infected. Warts on thumbs: A wart on your thumb can be a common wart or a flat wart. Warts on finger tips: A finger tip wart can be a common wart or a flat wart. These need to be carefully monitored as they can invade the skin around or under your fingernail. When that happens, they’re known as periungual warts and you can learn more about them here. Warts on finger pads: A wart on your finger pad can be a common wart or a flat wart. Any wart on your fingers can be irritated in the course of your daily activities. Although warts aren’t harmful, it’s usually a good idea to have them removed rather than wait for them to disappear. There’s information in this article explaining how to get rid of warts on fingers. Warts can infect people of all ages, but they are most prevalent in children. Children often have scratches or other breaks in their skin and they are usually in close contact with others. It’s easy for warts to spread through a group of schoolchildren. Are undergoing chemo or radiation. There is no cure for the virus that causes warts. Warts are a viral infection. Any wart treatment leaves you vulnerable to a secondary bacterial infection. Regardless of whether you’ve had a professional remove your wart or whether you’ve used an over the counter or home remedy, treatment leaves a wound. You can do your best to keep the area clean, but your hands and fingers are constantly exposed to bacteria. Multicolored growths are more likely moles than warts. You are well-advised to seek medical care at the first sign of infection. Warts usually don’t hurt, but it’s very easy to irritate warts on your fingers. Finger warts may bleed, or they may become painful due to frequently bumping them. Friction from something continually rubbing against or putting pressure on a wart can lead to pain. If you can’t eliminate what is irritating your wart, you probably need to have it removed. If you’ve tried to remove the wart yourself, the pain may be due to an infection, and you’ll need to consult a doctor. A professional will give you aftercare instructions when removing your wart. If you experience more pain than expected, you will need a followup visit. Warts on fingers get started when the virus finds a break in your skin. You can minimize your risk by keeping your hands protected with gloves whenever you can. Frequent hand washing also helps, as does using lotions regularly that heal dry or cracked skin. It’s important to avoid touching existing warts as that can spread them.